We’re both grown up. I’ve been a grown up longer than you, but I digress. With that label comes something very familiar – stress. Now I realize that your stress and my stress is very different. I’m sure you worry about things like a long drive-thru line at In & Out Burger, a certain someone’s love of for black bras under white shirts, and I know you were very worried about women here on LTR . Me? Well, I worry about things like how many calories I just ate in a whole bag of Terra Vegetable Chips, what the ‘check engine’ light means, how much wine I have at home and who’s going to be the new Bachelor next season. 1. I want to see your wonky legs in running shorts. Oh my. Be warned – I may chase you. A nice sleeveless running shirt, running hat and shades? Yes please. Proper running attire makes for a faster pace and longer endurance. I beg you – leave the fou-fou white vest and cream linen pants in the forest where it belongs. 2. I live near the most beautiful beach. We could take an early morning run along the shoreline, then frolic (I’ve always wanted to frolic with you) in the surf. We can indulge in hot dogs and cheese fries from the beach shack restaurant. Since we just finished a run, there’s no guilt. I know sand will stick to our feet, so we’ll have to use the outdoor showers to rinse off. It would be a struggle, but I’d muddle through. 3. I am very aware you smoke. 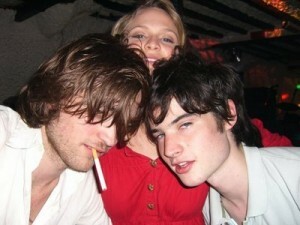 I’ll admit I usually find photos of you and a fag quite HAWT. (Wife beater? Cigarette? One of my favorite shots EVER.) But in all seriousness, you should stop smoking. Now. It’s really terrible for you but since I’m not your mom and I can’t make you–I’m sure Clare has tried to get you to stop at no avail–the least I can do is get the blood flowing though those lungs. Now I know there’s lots of very interesting ways this could be done, but a good 5-mile run is always a perfect way to start the endorphins. Who knows what would happen the rest of the day. Breathe in…breathe out. 4. Dean looks like a great guy, but don’t you ever want to lose him for just a little while? He doesn’t strike me as a runner. You don’t need him on a run – *I* would hand you your water bottle. I bet I could do just as good of job as Dean. He can stay home and whip us up some delicious recovery smoothies. 5. Bear would LOVE it. He looks like a dog who would love a good run. He may even find a squirrel. He could scare away the paparazzi. (similar, but not the same as a squirrel). We’ll teach him to growl and sneer at anyone with a lens cap. This may be necessary since Dean isn’t with us. How about I bring ALL these puppies? Now that our run is done, I want to celebrate. How? I’ve got the perfect conclusion to our run — I want to see the real Jumping Rob recreated in my pool. 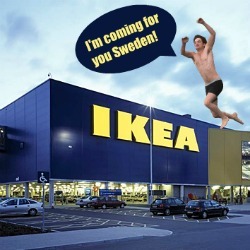 Bring on the black boxer briefs!! Love it, Brenn! And this inspires me to inspire YOU all to write us more letters with these theme: Doing a HOBBY with ROBBY. Yep… it’s about time we had a new LTR theme around here. So what do you think? Got a HOBBY for you and ROBBY you can write to us about? Great- send it to letterstotwilight@gmail.com. from one of Moon’s Best LTRs ever! April 30 in my hometown is the only day of the year when there are people milling around the city center with an open beer in their hand and a plastic bag filled with the day’s stash of alcohol in their other hand from 10 in the morning. Mostly it’s students, but there are also quite a number of teenagers and middleaged people joining in. Do the police here have a different policy to public drinking than they do in the US or Britain, you may ask? No, but let’s face it, with the city centre swarming with tens of thousands of local and visiting drunks and a police force in the hundreds, you have to focus on the important parts, like arresting the violent ones, rescuing the unconscious, and carting the 13 to 17-year-olds you find drunk home to their (hopefully sober) parents. So this is how you do it: The day begins at around 8am with a champagne breakfast at a friend’s house. Strawberries are traditional with the champagne, but don’t be surprised if you are served hot oatmeal too. Disgusting or not, that is also part of the tradition here. After all, if you’re going to stay on your feet all day, you will need the energy! After breakfast you move to the city centre, with your plastic bag and beer firmly in your hands, and battle the crowds for a front row place close to the river. At 10 o’clock the traditional student river race begins: carried by the spring flood, students from different student clubs compete on rafts they have constructed in the preceding week. The more fanciful, the better: imagine floats in a parade, but on the river. Naturally, quite a few of them collapse going down the rapids, but that’s all part of the fun and games. Hopefully the champagne hasn’t gone to your head, because you need to look out for enthusiastic people throwing eggs and firecrackers around: all in festive spirits of course. Please buy me a balloon on the way, ‘cause this is one of the few occasions when there are balloon salesmen walking around town. A silver heart or a unicorn would be nice, thank you! The action on the balcony is a sign for everyone else to wave their caps, shout Hurrah and put them on. Tradition now requires you to turn around and run all the way down the Castle hill, but since we are thousands packed tightly together we will hopefully manage to move at a dignified pace, milling down together towards the city centre, without having anyone throw up on us or get trampled to death. This is probably the point where I lose my balloon. Now we head to one of the student clubs, where there will be music, dancing and champagne at 3.15. Unfortunately, some people think that the champagne should be sprayed around instead of served in plastic mugs, so there is a chance you will get more soaked than before, unless you brought a raincoat. When you have got your fill, and unless you need to go home and change, we are then heading out to one of the major parks in town, where you will find your friends on a blanket with more beer and a disposable grill. The rest of the afternoon until early evening will be spent drinking and eating sausages with potato salad and drunk people watching. 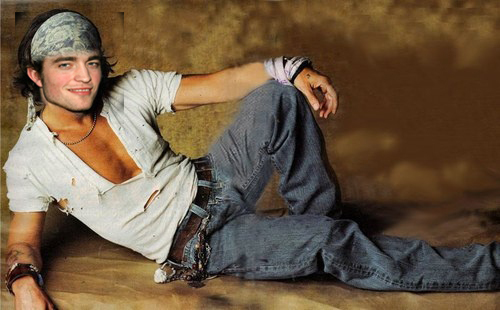 Yeah... we pretty much assumed you'd be bringing Tom and reenacting THIS picture.. If you’re lucky, you have a ticket to one of the student balls this evening, the most prestigious one takes place in the Castle itself and is hosted by the University choir, but there are plenty of student clubs, so I’m sure we’ll get you in somewhere. Since I would love to see you in tails, I vote for the Castle, where there will be a three-course meal and dancing to a live band afterwards, if you are still able to stand up. Keep some cash on hand for the bar! If we don’t get in, however, we can at least go see one of the Valpurgis fires that are lit around 8 o’clock on different spots on the outskirts of town, usually with someone making speeches hailing spring and choirs singing, fireworks and more firecrackers. Then we rush back to the Castle to catch the traditional concert outside the Castle by the University choir, singing songs to spring, after the tolling of the University bell outside the Castle at 9 o’clock. By now you may have run out of beer, and we need to buy some more off some disreputable character out of the trunk of his car, or tag along with friends who still got some. We will spend the rest of the night going from party to party, or just hanging around downtown trying to get in somewhere, acting like the crazy belligerent drunks we are. We will probably fall asleep in the grass of a public park among the trash of the day, and wake up at 7, wet and cold from the dew, to stagger home through a town where the clean-up crews are working hard to prepare the town for the more sober 1st of May celebration with demonstrations and political speeches. Hopefully none of us will get mugged, beat up or raped, if we keep away from the darkest part of the parks after midnight, where the police and charity organizations try to keep an eye out for helpless drunks in danger. And then we spend the 1st of May nursing our hangovers, which is also traditional, and something I’m sure you feel familiar with. 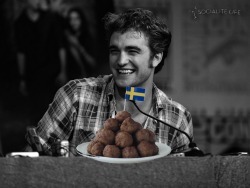 Let’s have our Spring fling and share my Valpurgis party with me, Rob! Think we’ll get anything GOOD out of Rob being in Vancouver for reshoots? Maybe he’ll hang out by that church again? You know the one! What makes someone a “True” Rob Fan? As Breaking Dawn & Rob hysteria is winding down, I’ve been pondering my “acute fondness” for all things Rob & Beaspoon’s letter came at the perfect time! Is this what a true Rob Fan looks like? 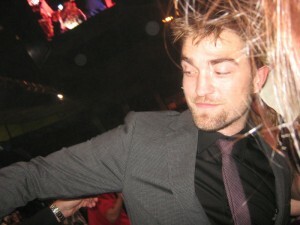 What if I’m not REALLY a true Rob fan? I mean, I know I’m enough of a fan to have seen every movie you’ve ever been in, even the weird, creepy early ones. I know that I’m enough of a fan to write letters to you on a Robfan website that actually get published sometimes (that’s pretty batshit crazy, right there!). I know that I read waaay too much fanfiction and you are the star in every single one. 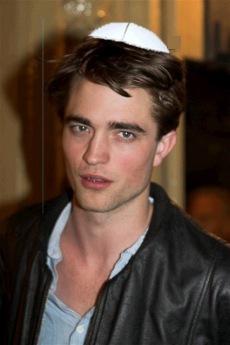 I know that I don’t really care at all about “Edward,” it’s Rob that I am nuts about. But there are some pretty gaping holes in my fan stats, if I’m being honest. I didn’t even succumb to the Twilight madness until the summer of 2009, which is well past the initial craze–all 4 books were published and the first movie was already out on DVD, and I had never even heard of Robert Pattinson. I didn’t start reading fanfic until the fall, and I didn’t discover LTR and Robsessed until then either. I’m not really an active member of the fandom, I just lurk and occasionally post or jump in when there is drama, lol. I don’t watch every single interview you give (who really has time for that?–I know, shoot me!) and don’t read a lot of the articles about you because, quite frankly, a lot of them are crap. So what gives? Am I not really a “true” fan? I’ve decided that I need to give my new friend the benefit of the doubt. So she just discovered you, so what? She’s one more person who understands your appeal, and even if it took her longer to notice you, she’s still a fan. I might not have been a fan from the very beginning, but I still sing your praises daily. I write you these silly letters, and my husband knows that should I ever actually meet you and you choose to ignore the fact that I am a 5-foot-tall, chubby, 30-something mom of 2 with stretch marks and a perma-ponytail and fall madly in love with me at first sight…well, it will be ON like Donkey Kong. How’s that for being a true fan? SO what do you think? What makes a TRUE Rob Fan? Such a relevant question with all the hate being spewed across the internet lately (ps I just got lost in a 10 minute nonsten/robsten tumblr-fest. I had to step away. That shizz is crazy) Do you have to be pro-Robsten to be a TRUE Rob Fan? 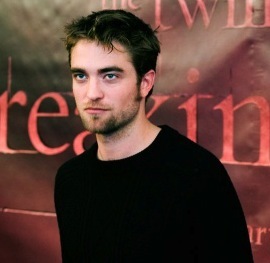 Can you be a NEW Rob fan and still be TRUE? 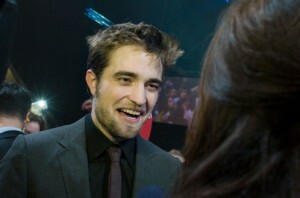 Does a true Rob fan agree with how he looks & what he does or says 100% of the time?